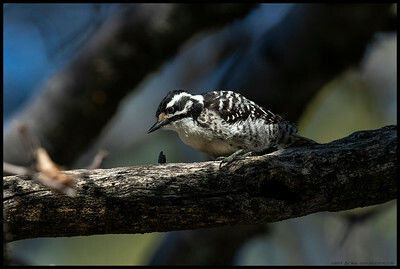 Most of the time when I'm not at work you can find me behind a Canon DSLR taking photographs of everything from landscapes, old machinery or more commonly, wildlife. 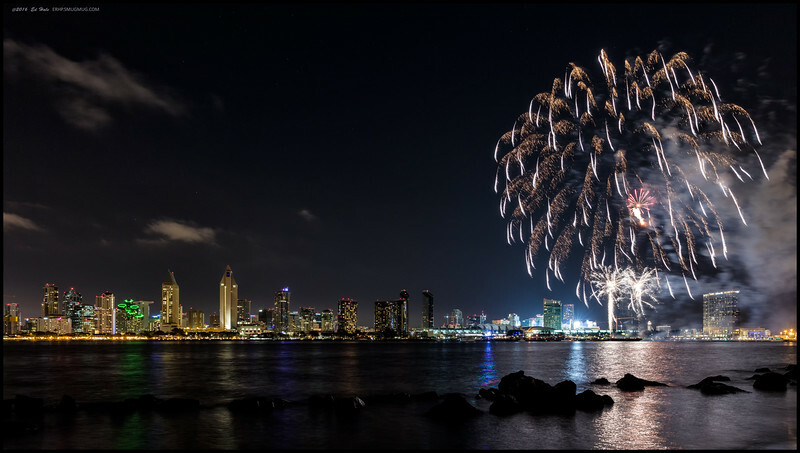 Generally you will see most shots are from the San Diego area, since I live there, but from time to time I find myself in other parts of the country. 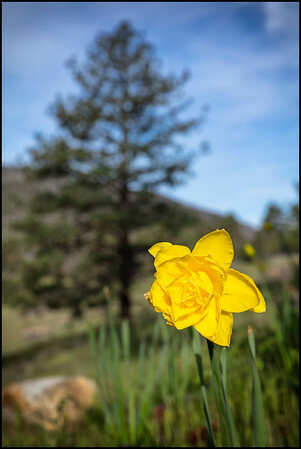 I generally prefer to be outdoors but work finds a way to keep me inside far too much these days. 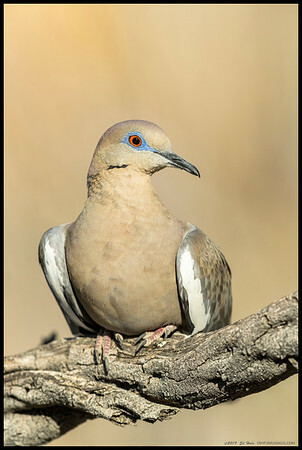 This White Winged Dove was apparently not really bothered by my presence as it let me get closer and closer, then sat down on the branch. 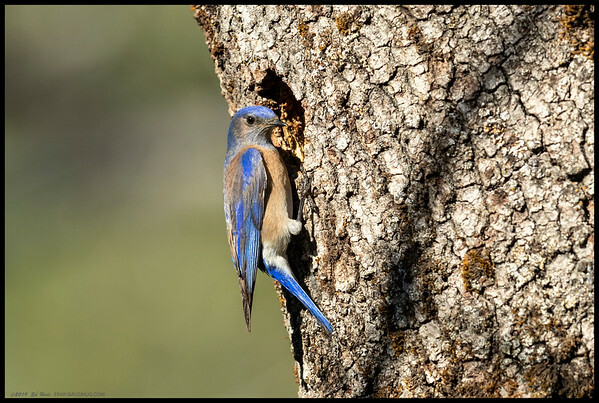 A curious Western Bluebird investigating a nearby tree cavity. 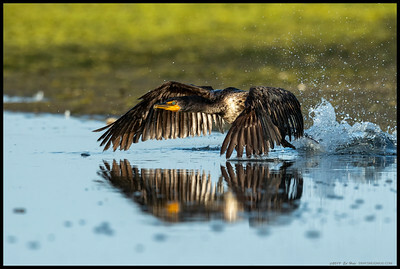 A Double Crested Cormorant taking off from the marsh on the San Diego River. 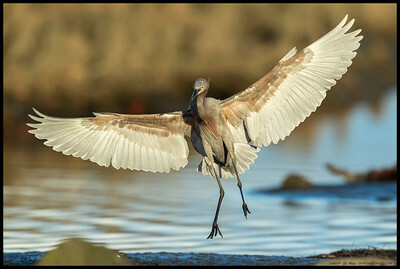 A Willet brought its to-go box over to front of the camera before opening it. 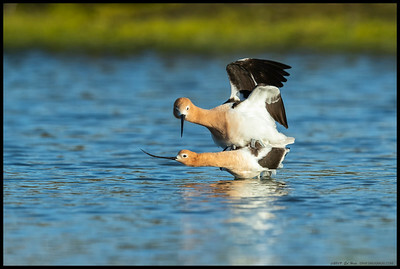 A pair of mating American Avocets in the late afternoon light. 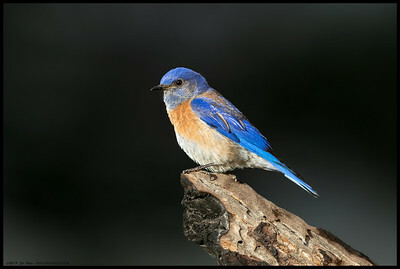 A male Western Bluebird perched briefly in the search for insects to bring back to the missus. 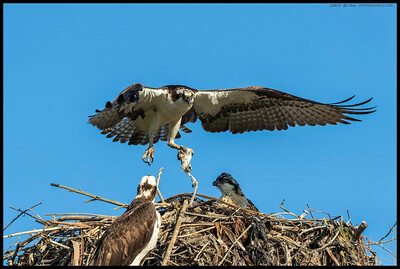 Apparently everyone was full so Dad took the remains of the fish off to eat in peace. 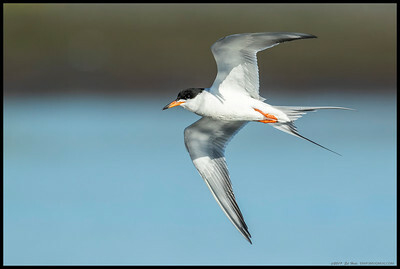 One of the Least Terns on a fly-by. 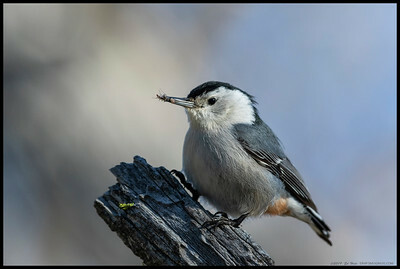 A White Breasted Nuthatch landed in front of me with some bugs. 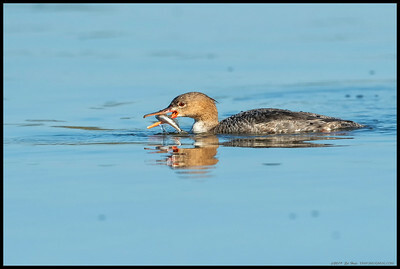 One of the pair of female Red Breasted Merganser 'preparing' her freshly caught meal. 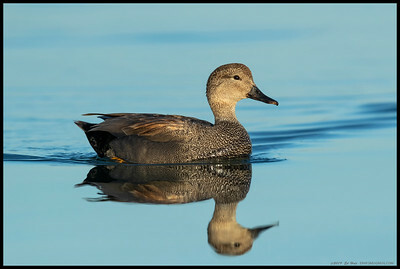 A male Gadwall was serenely gliding across the still waters of the San Diego River. 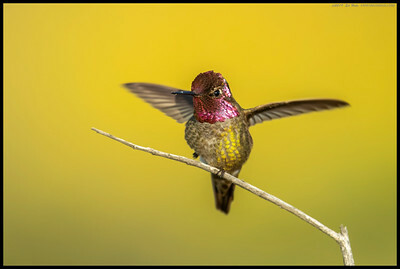 A male Anna's Hummingbird showing off a bit. 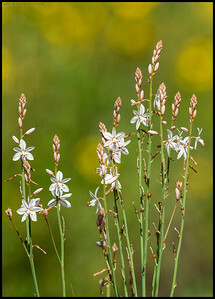 The fields of wildflowers m1ake for a much nicer background bokeh than the winter browns. 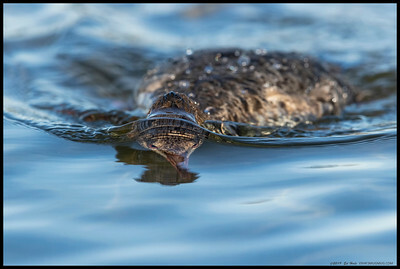 A female Lesser Scaup stretching in the afternoon light. 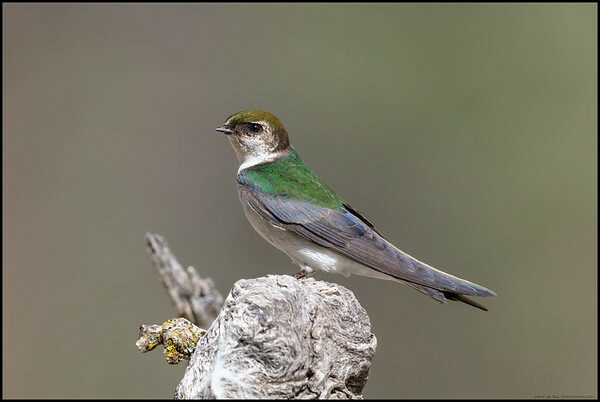 Based on the interactions with the male swallow, I'm guessing this is a female Violet-green Swallow. 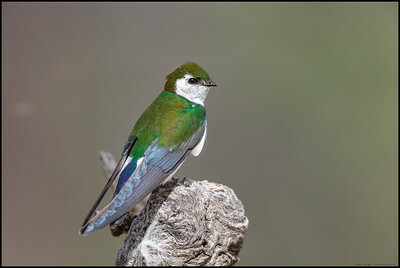 One of the Violet-green swallows taking a brief break from chasing the other swallows and flying bugs around. 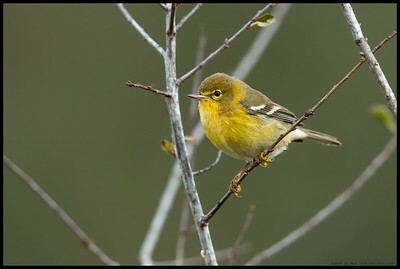 Very difficult to get this one with a perfect side angle. 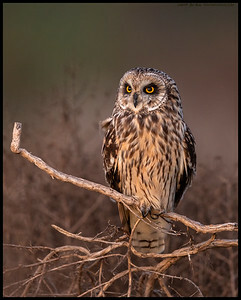 Uncropped and taken with a 5DSR @840mm. 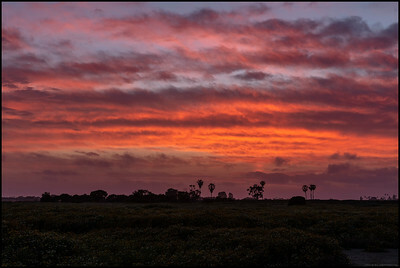 Sunset over the wildflowers on Fiesta Island. 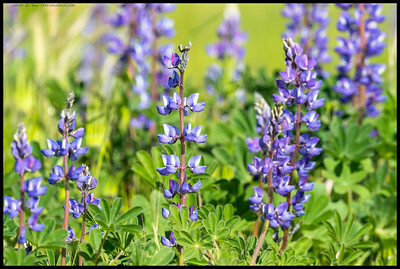 Two months ago this was dry and full of dead vegetation but you would hardly know it now with some of the flowers over 5' in height. 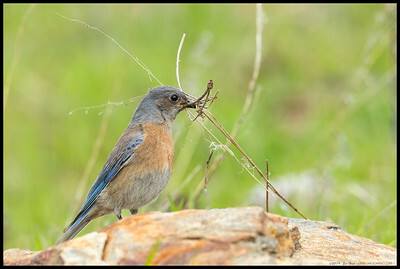 Mama Bluebird taking a trip to Nest Depot. Might need a bigger cart. 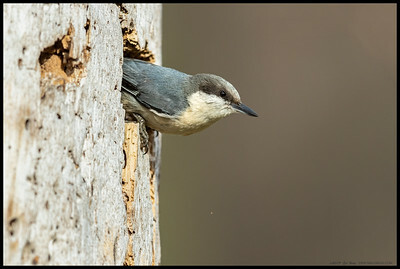 A Pygmy Nuthatch climbing out from the nesting cavity under construction. 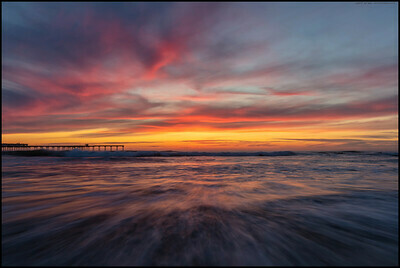 The red phase of the sunset over Ocean Beach as the waves rush shoreward. 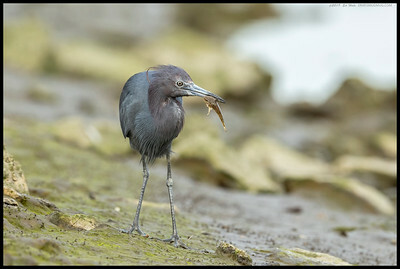 'You look like dinner' Little Blue Heron with a snack. 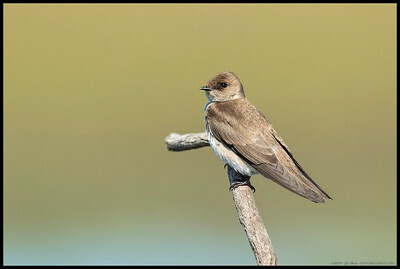 One of the pair of Rough Winged Swallows that decided to take a break in front of the camera. 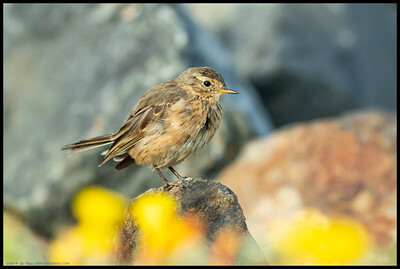 A fluffy American Pipit posing atop of some rocks behind the blooms. 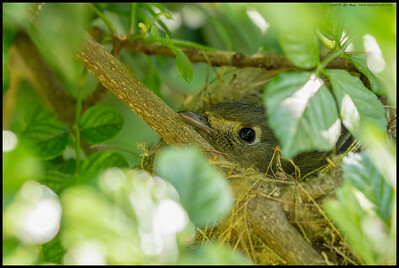 A Pacific Sloped Flycatcher sitting on the nest. 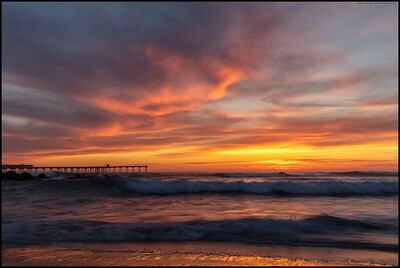 A set rolling in under the orange phase of the sunset at Ocean Beach, CA. 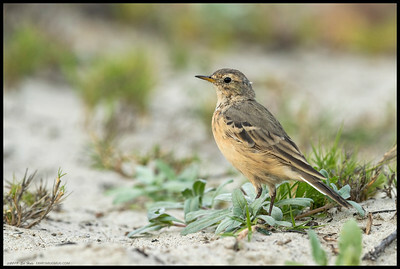 An American Pipit stopped long enough to give me the look over the shoulder. 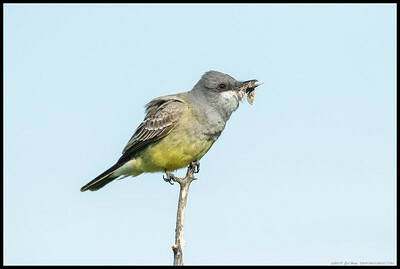 Somewhere in this pile of grass I do have a snack. 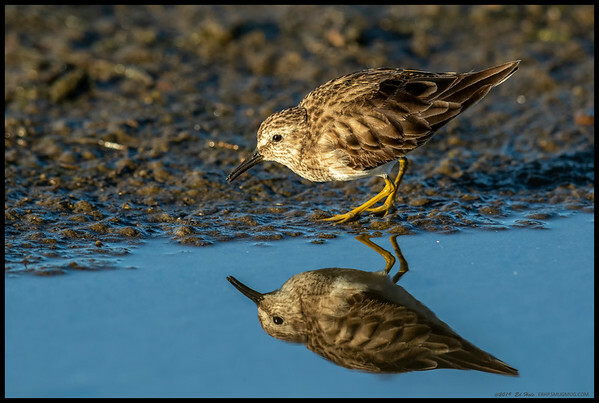 Be careful where you step. 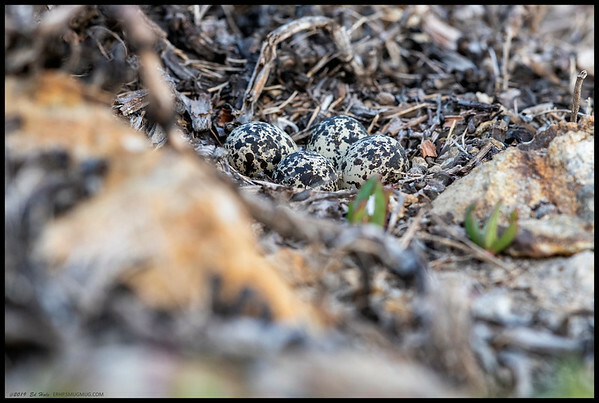 A nest of four Killdeer eggs. 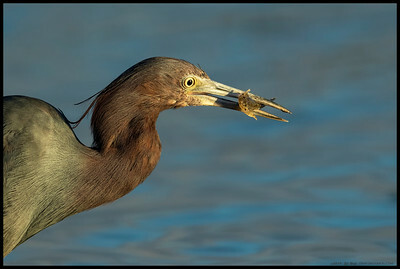 One of the molting Little Blue Heron's with a hard won snack. 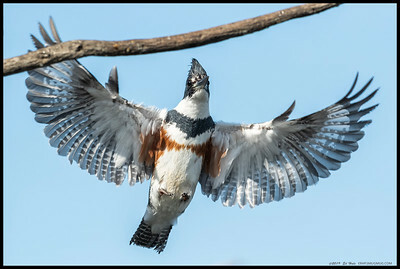 Our local female Belted Kingfisher coming in on her favorite perch. 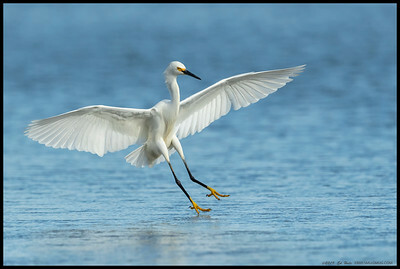 A Snowy Egret the split second before touchdown in the shallow waters. 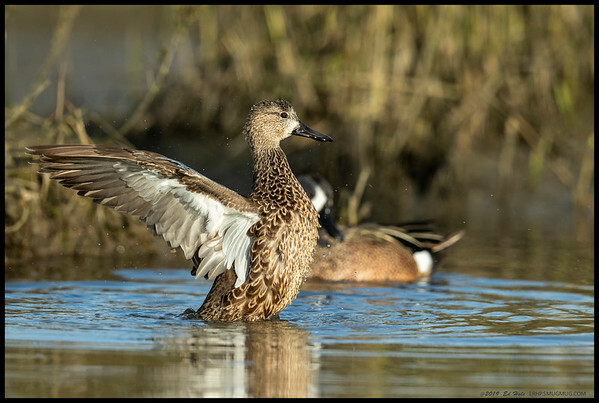 A female Blue Winged Teal shaking off after mating with the male behind her. 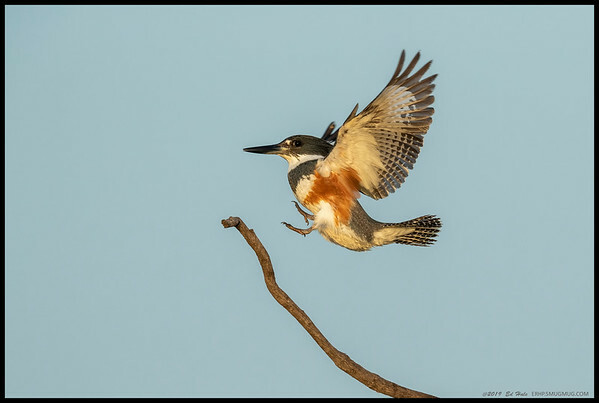 Female Belted Kingfisher do a quick perch shift. 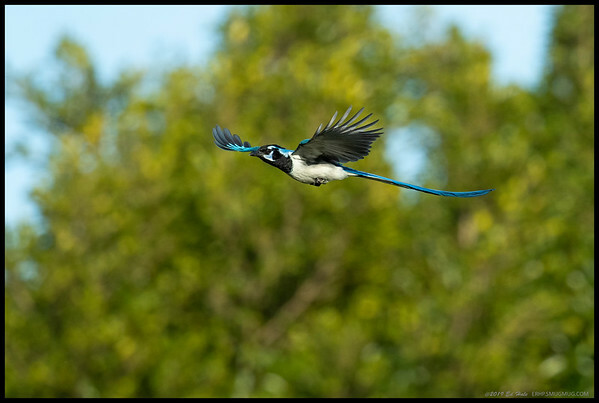 Black Throated Magpie Jay in flight. 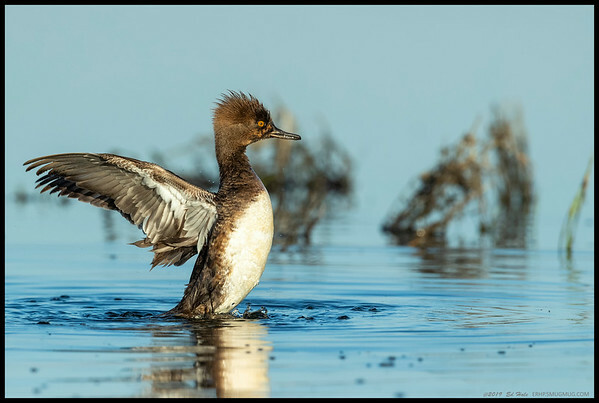 A female Hooded Merganser shakes out her wings after a brief preening session. 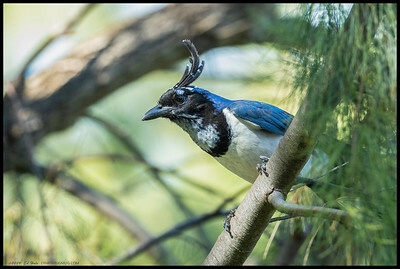 A juvenile Black-Throated Magpie Jay was definitely keeping an eye on me. 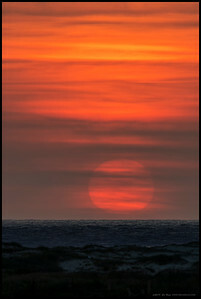 The big ball of fire moments before it dropped behind the Pacific. 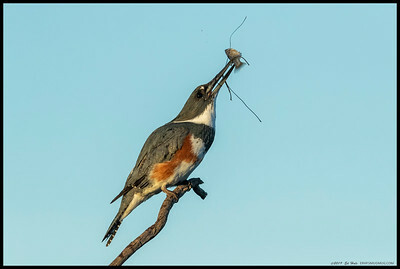 Dinner with a sunset view for the local female Belted Kingfisher. 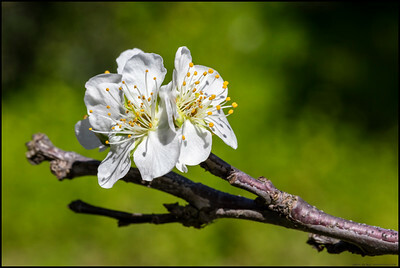 A trio of Dogwood Tree blooms. 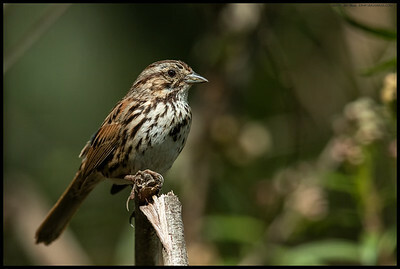 A Song Sparrow perched in a small patch of light. 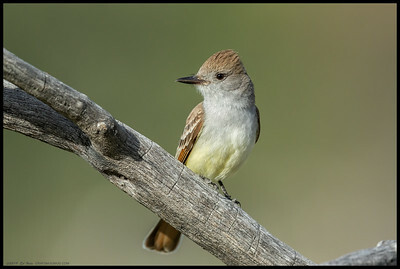 One of the Pacific Sloped Flycatchers waiting patiently for its next meal to fly by. 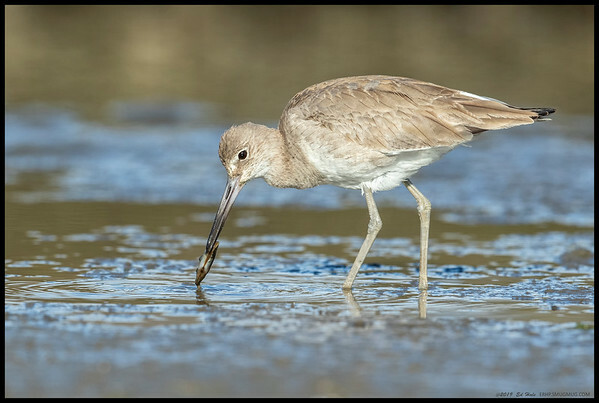 A Willet with a freshly plucked bivalve. 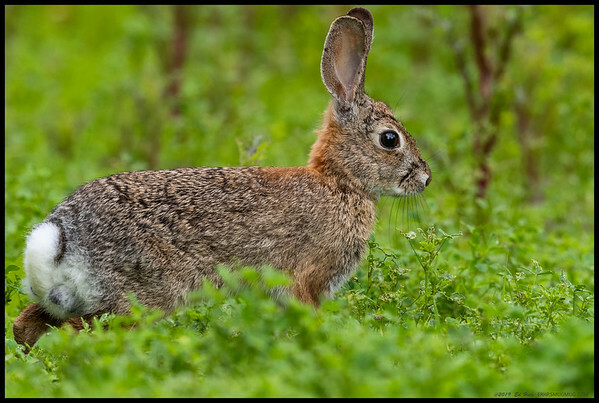 I've always thought it interesting how when you are low and still, sometimes even the cottontail rabbits will just hop out in front of the lens. 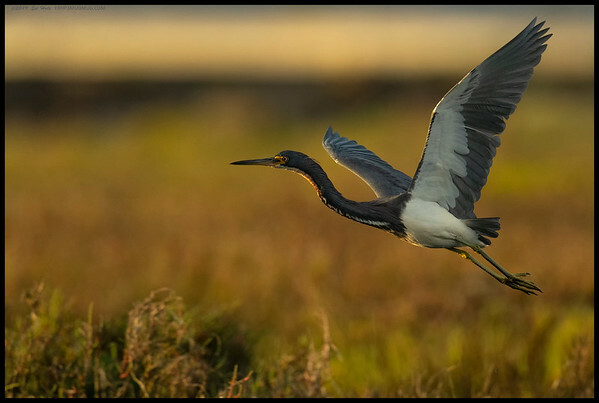 Our local Tri-Colored Heron taking flight towards the setting sun. 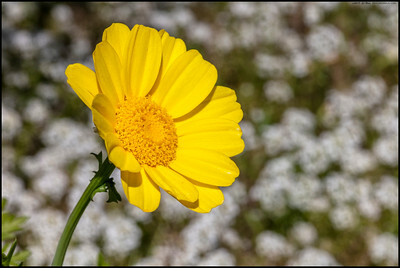 When you can't get to the flower without trampling over 15' of other flowers, use 840mm of glass. 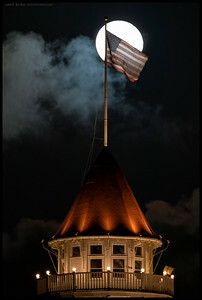 The Star Spangled Banner atop the ballroom tower of the Hotel Del Coronado while the moon rises. 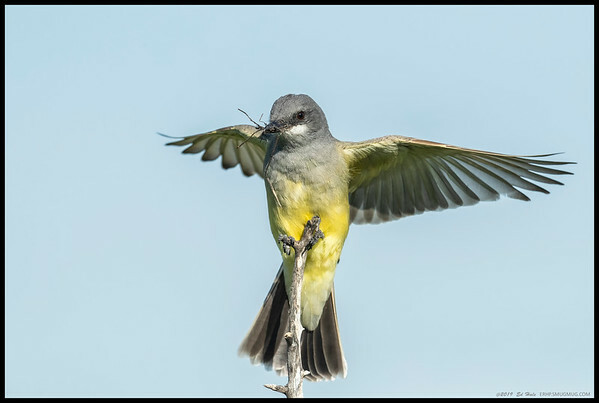 Cassin's Kingbird with one of the many moths enjoying the blooms. 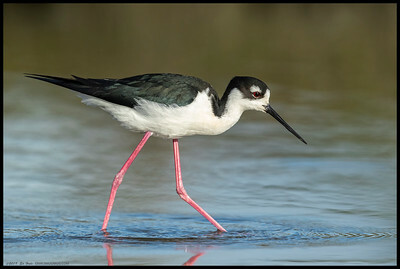 I've always thought the Black Necked Stilts were very interesting, not only in coloration but behavior. 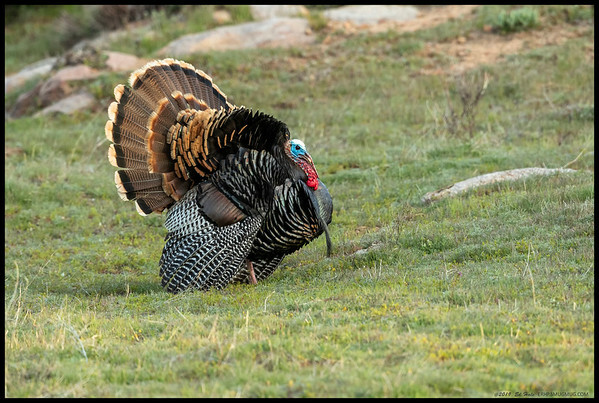 One of the advantages of being as still as possible while laying down on the bank is being able to observe their behaviors up close. 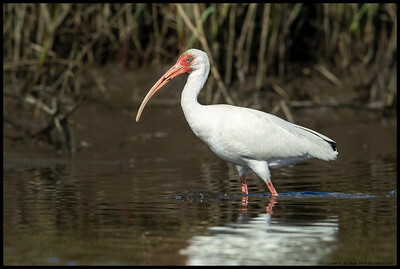 The male was on a foraging run, doing sweeps of the water, though at times I have seen them catch fish and nab insects off the grasses along the water's edge. 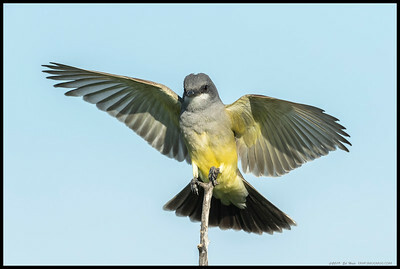 Cassin's Kingbird coming back empty this time. 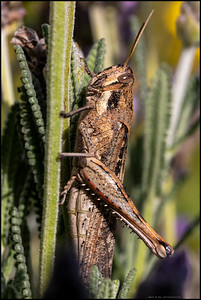 I watched over twenty moths disappeared into the beak in less than an hour. 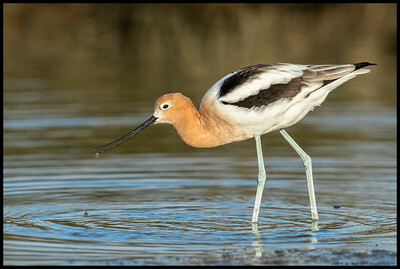 A female American Avocet coming up from their characteristic sweeping motion while feeding. 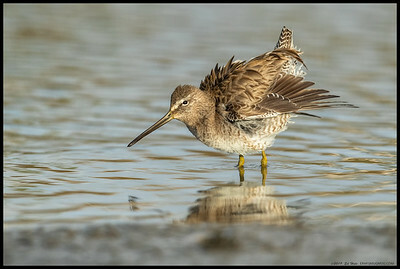 Almost completely in breeding plumage. 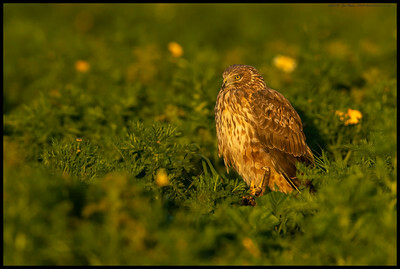 Sitting pretty in a field of flowers, this Northern Harrier seemed to be debating options for dinner. 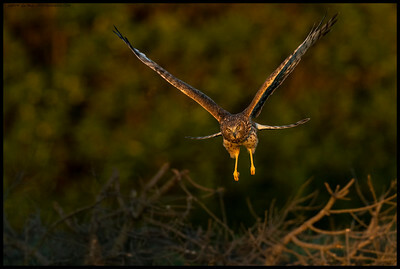 Just before the shadows enveloped everything, the female Northern Harrier was spooked by a dog, causing her to fly almost directly towards me. 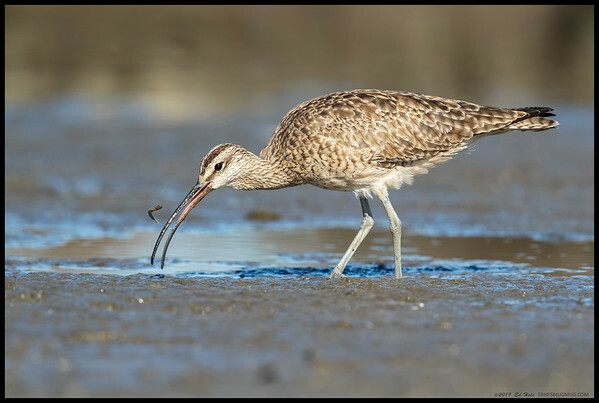 A Long Billed Curlew accidentally tossed the ghost shrimp it pulled from the mud. 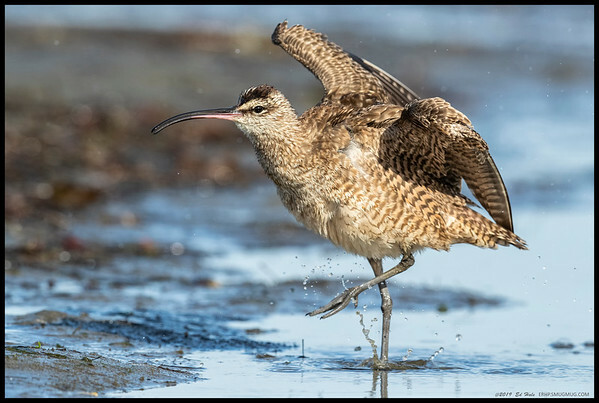 It was interesting watching this Whimbrel pull a small fish out of the mud, then as it was squeezing it, the fish slid out and proceeded to bounce on the surface, causing great consternation to the whimbrel until it successfully recaptured and ate it. 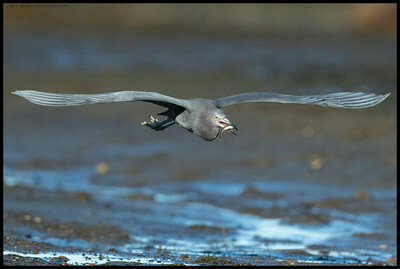 After catching a fish, this Little Blue Heron climbed onto the bank to ensure it didn't lose its meal. 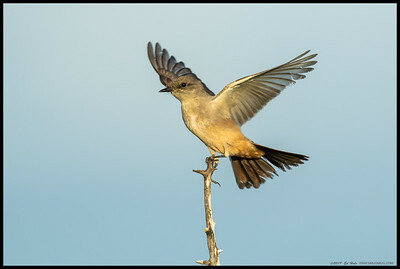 Unfortunately, another Little Blue saw this as an opportunity and chose to fly towards it. 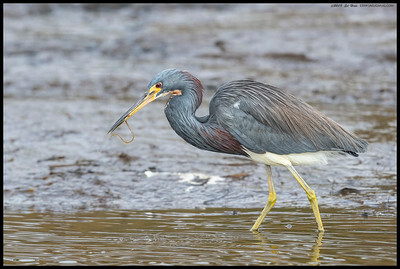 Unable to get the fish oriented in time, this led to a chase but I believe the original heron was able to eventually eat the fish. 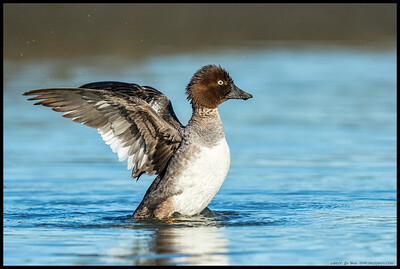 The wintering female Common Goldeneye deigned to give us some nice shots of the wing feathers. 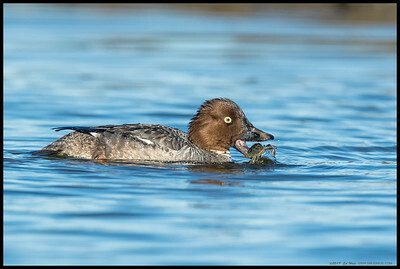 This female Common Goldeneye duck caught a crab and spent about five minutes 'massaging' the shell just right before find swallowing it whole. 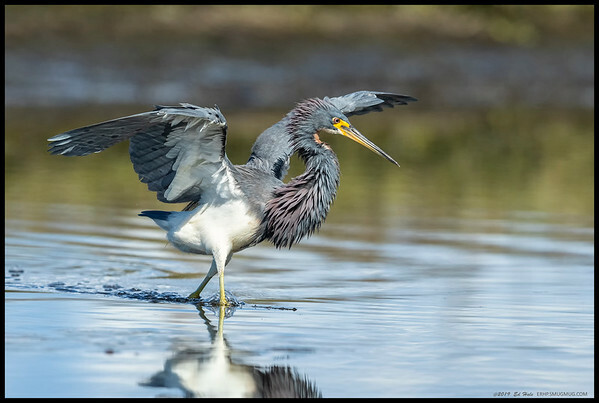 Tri-Color Heron stepping out to the tune of "Stayin' Alive". 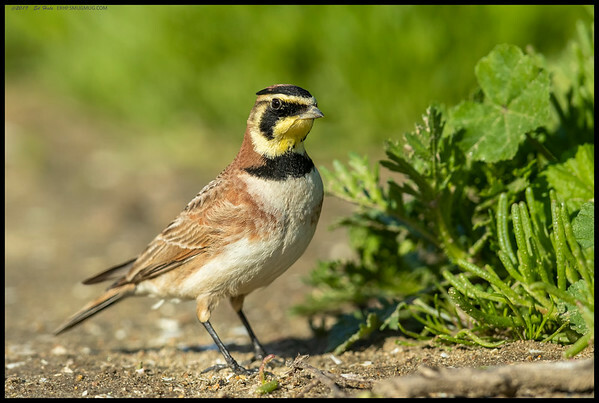 Sometimes you'll just be sitting there when a Horned Lark will hop up to 'investigate' the area. 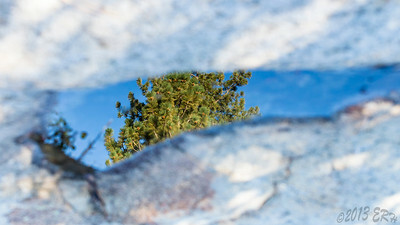 The 'Snow Moon' cresting the ridge just east of San Diego proper. 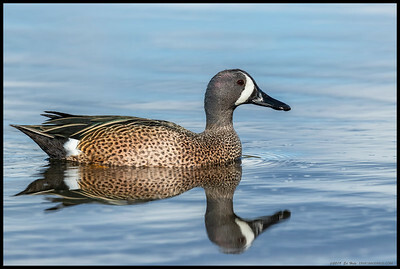 A Blue Winged Teal drake gliding across the almost still lagoon. 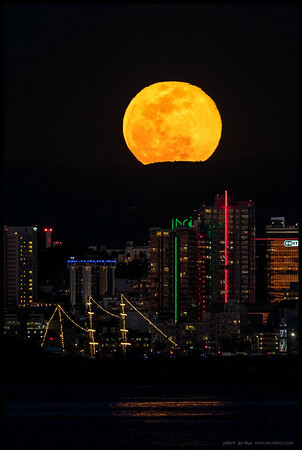 The 'Snow Moon' rising over downtown San Diego. 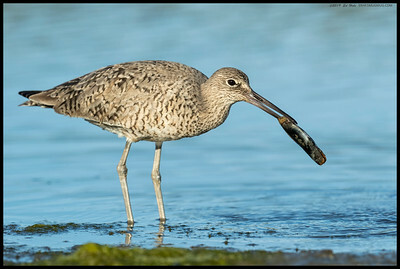 I bet that fish is thinking 'Who turned out the lights'. 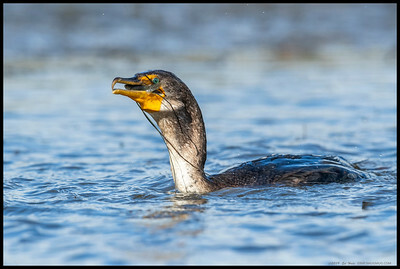 Double Crested Cormorant. 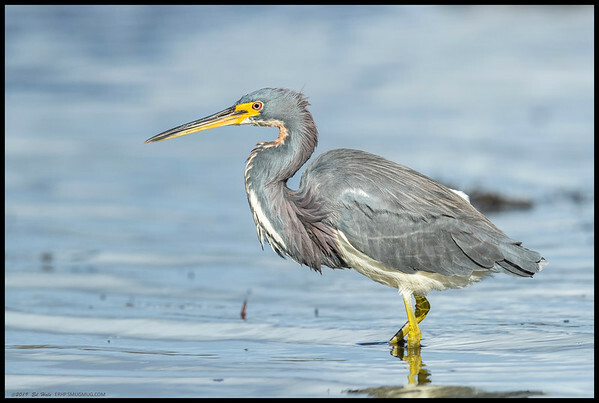 A slight break in the wind and the sun popped out at the same time to show off the colors of our local Tri-colored Heron. 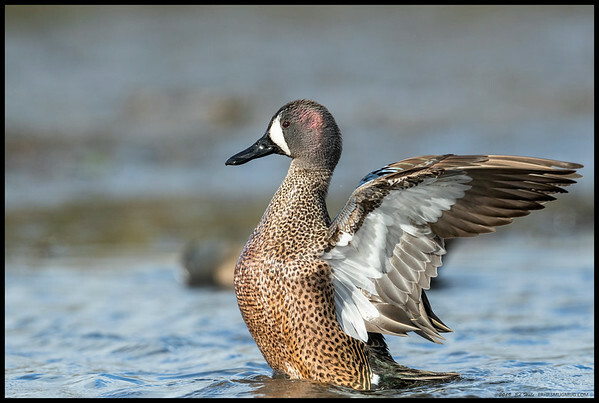 During a brief bit of late afternoon light, this male Blue-Winged Teal gave me a few wing flaps. 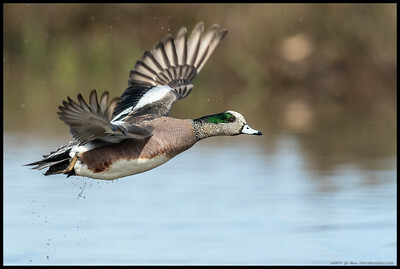 A male American Wigeon just after takeoff. 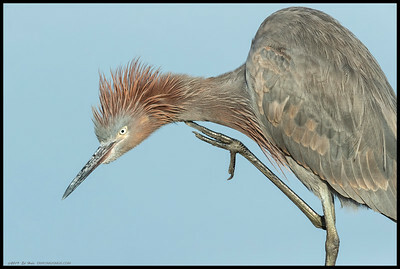 An immature Reddish Egret getting in a little neck scratch. 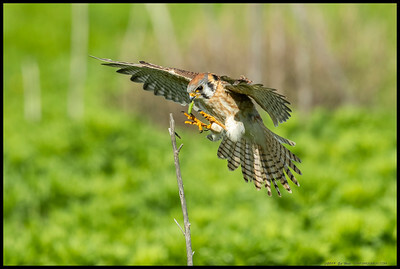 The brighter(more white, less orange on the breast) of the two female Kestrels taking off after another snack. 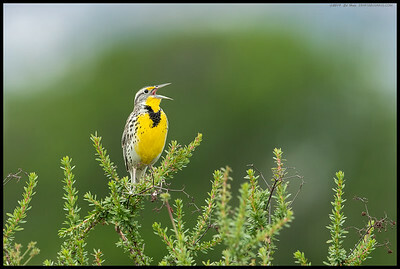 A Western Meadowlark was belting out the tunes. 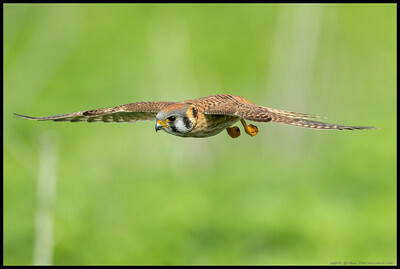 Female Kestrel on an 'attack' run. 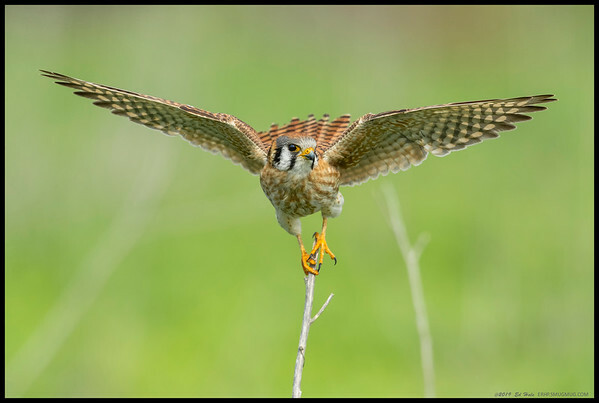 A female American Kestrel a split second before landing on a dead stem to eat an afternoon snack. 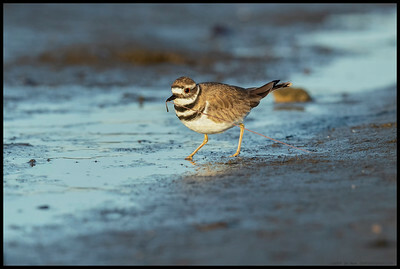 A heroic Killdeer 'rescues' a marine worm from the mud. 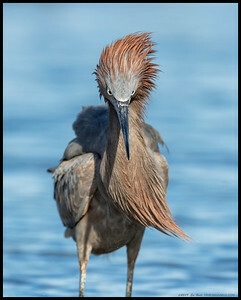 After a brief chase, the Reddish Egret collects another prize from the river. 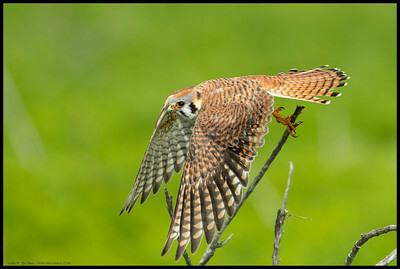 It was interesting taking shots of this female Kestrel. 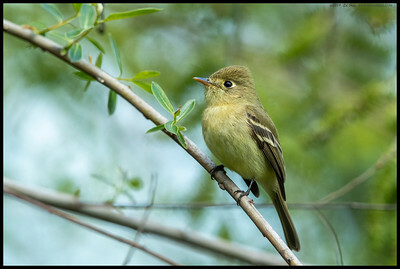 I had set the focus point towards her taking off to her right when she shifted and took off almost straight towards me, causing me to lop off the wingtip, so I decided to crop in a bit more. 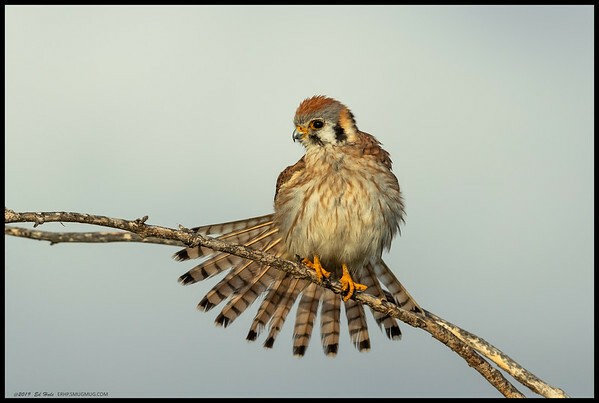 An American Kestrel on her touchdown atop a dead stem. 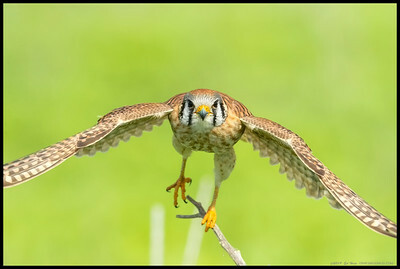 Either the stems are a lot stronger than they look or these falcons weigh very little. 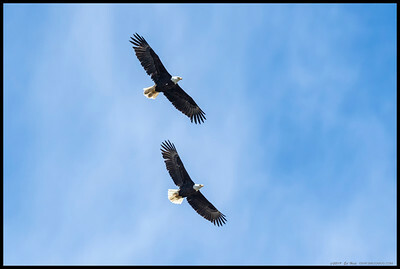 Perhaps both. 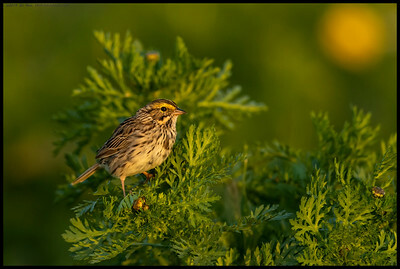 The intermittent clouds filtered the early morning light shining on the female American Kestrel. 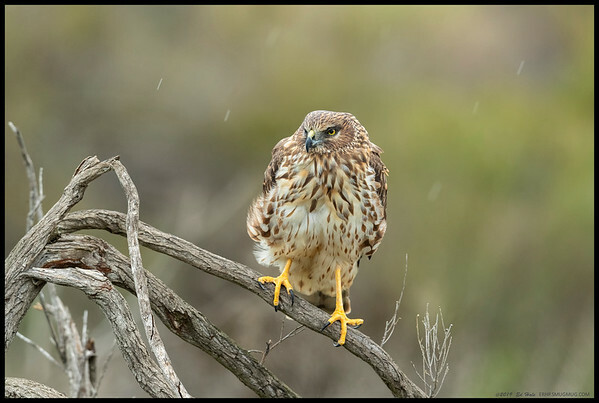 The female Northern Harrier was not the biggest fan of the rain drops falling around her. 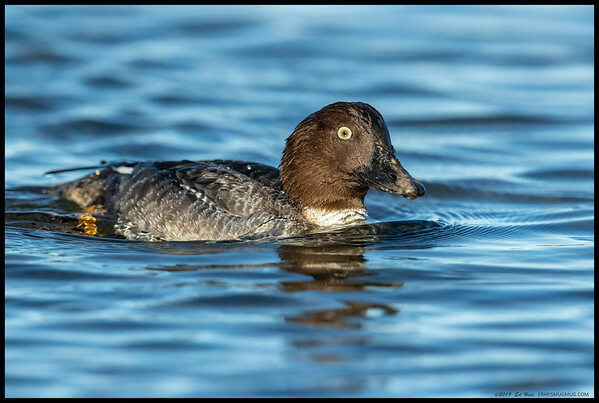 A female Common Goldeneye on one of her passes in front of the camera. 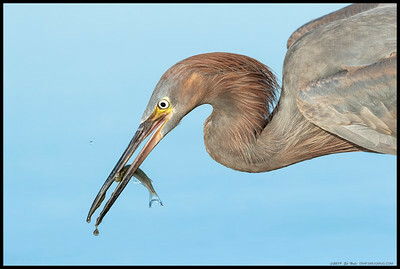 Another fish to feed the immature Reddish Egret. 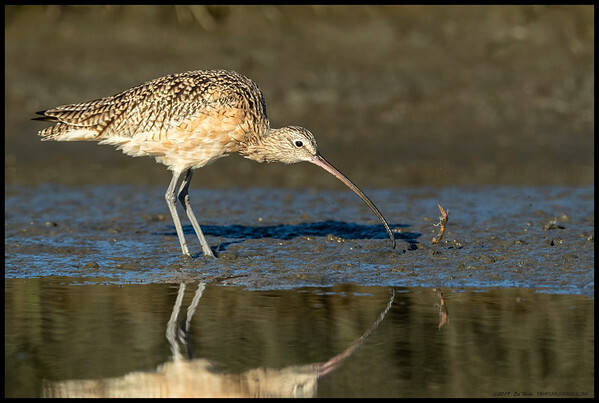 For the better part of an hour this one chased fish and ate them right in front of the camera, most of the time too close to get full body shots. 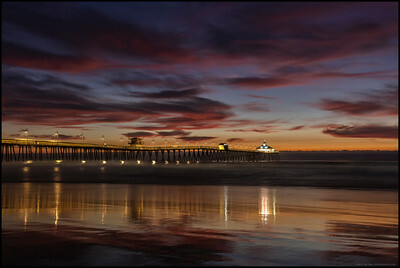 The deep reds finally appeared over the Imperial Beach Pier but I was starting to run out of usable beach as the tide continued to rise. 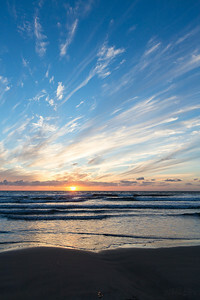 By this point, I really had the beach to myself. 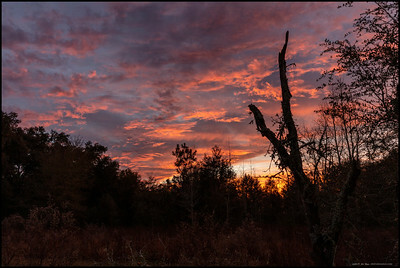 The second wave of color including the deeper reds, was starting to outshine the yellow and orange horizon. 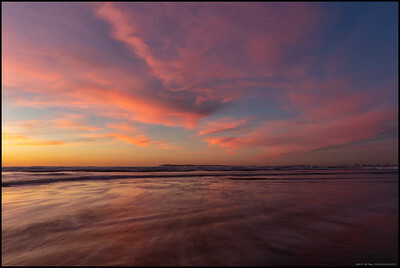 And at my feet, Nature's canvas, constantly being repainted by the incoming tide. 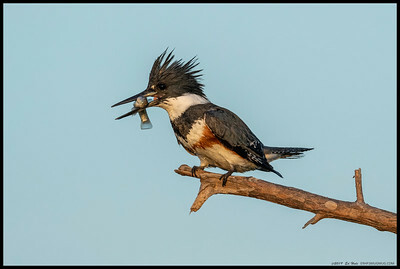 A female Belted Kingfisher fighting to get the 'salad' off her breakfast. 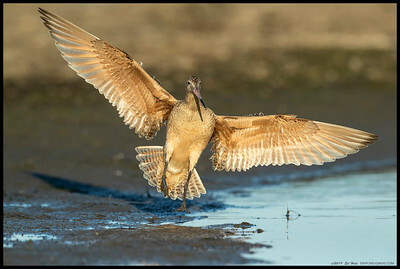 A Marbled Godwit just before touchdown. 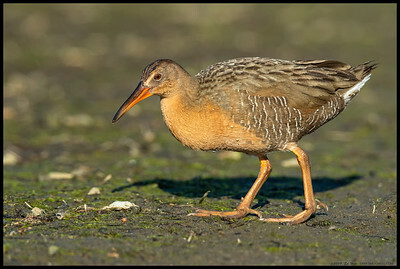 A very cooperative Ridgeway's Rail along the bank of the San Diego River. 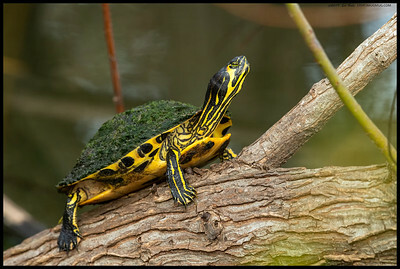 Here fishee fishee fisheeee... 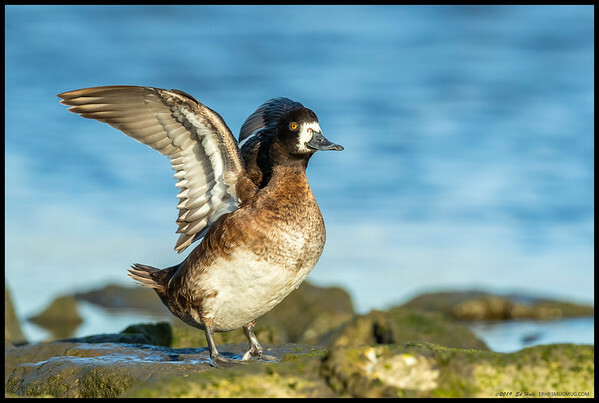 Female Red Breasted Merganser on the hunt. 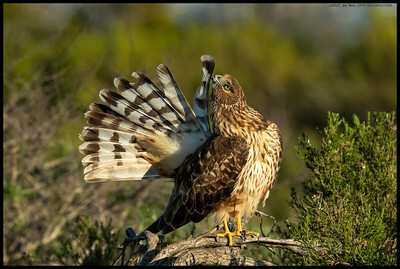 Sitting with a female Northern Harrier, watching as she preened each and every feather. 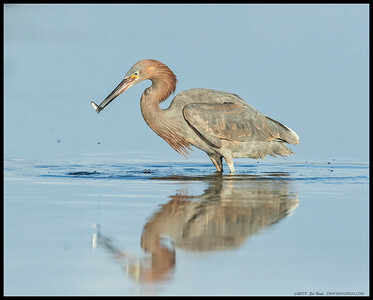 As the last light of the day was hitting the channel, a juvenile Reddish Egret came in to fish a new spot. 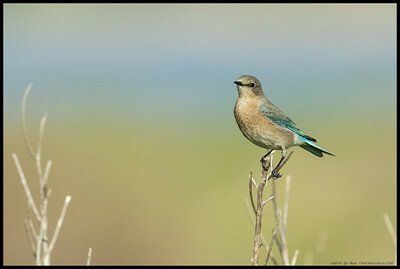 I was fortunate enough to come across a pair of Mountain Bluebirds hunting on Fiesta Island, somewhat outside their usual haunts. 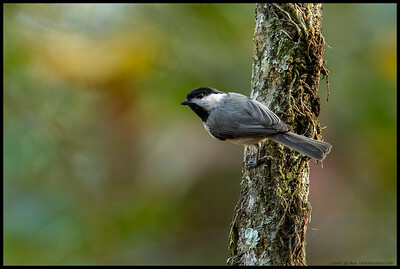 Sadly for me, only the female was marginally cooperative. 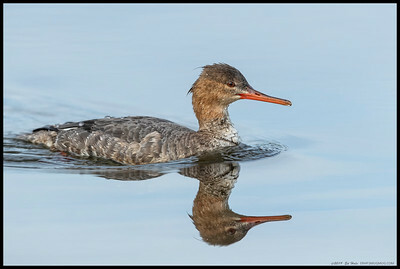 One of the wintering female Red Breasted Mergansers coasted by in a fairly serene glide, presenting the chance to get a nice reflection. 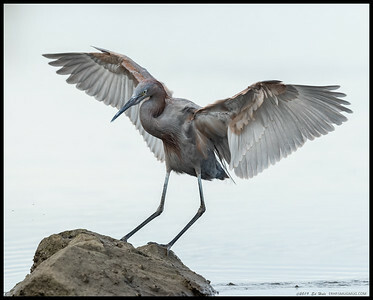 A high key take on the local juvenile Reddish Egret sticking the landing on a rock. 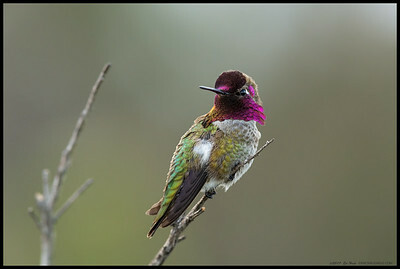 A male Anna's Hummingbird displaying some color under less the awesome lighting conditions. 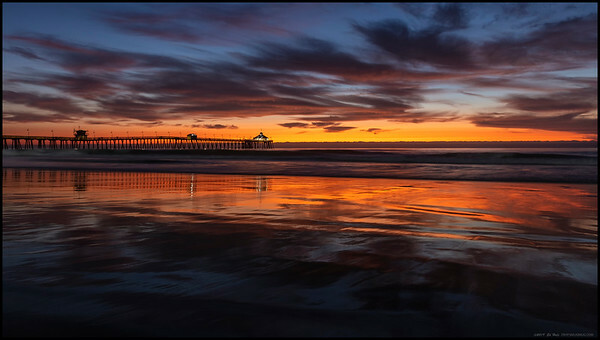 Though I really wanted the reflection in the wet sand of low tide, the collection of various bivalves did little towards that goal for tonight' sunset at Imperial Beach. 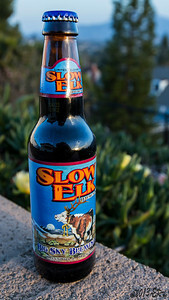 In the distance you can see Point Loma and on the right, the skyline of San Diego. 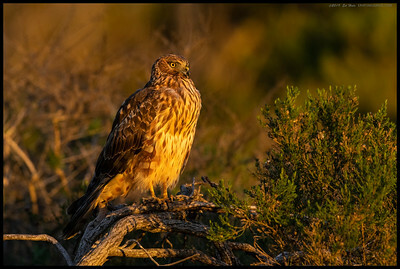 A female Northern Harrier basking in the late afternoon sun. 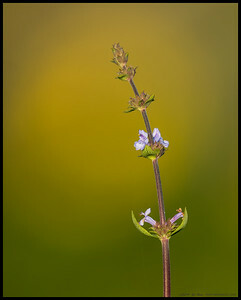 The afternoon as a whole had been overcast but a thin break in the clouds made for the best light possible. 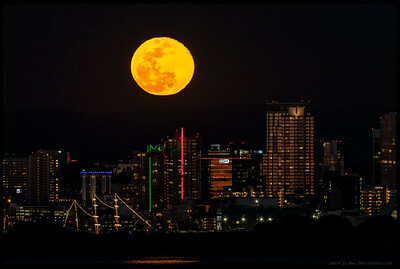 The full moon rising over San Diego. 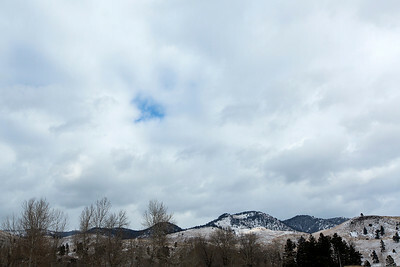 Of course it would be cloudy during the eclipse. 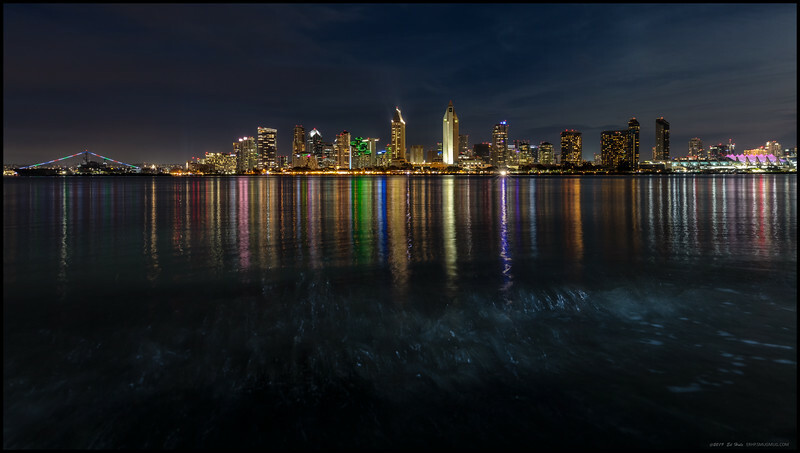 San Diego after the moon had cleared the buildings. 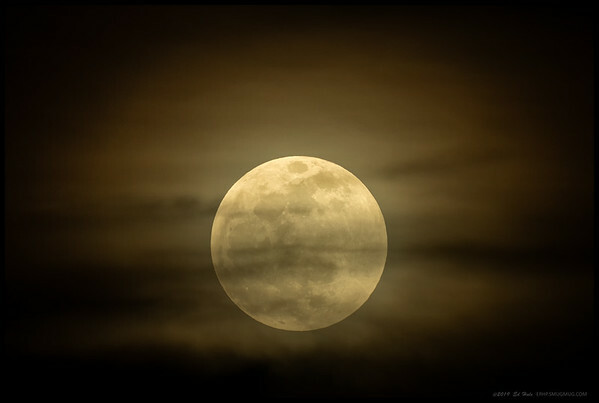 And the tide never stops, especially when the moon is bringing it along for a walk. 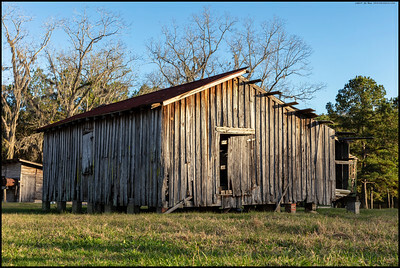 Late afternoon lighting hitting an old barn on the west side of Madison County, Florida. 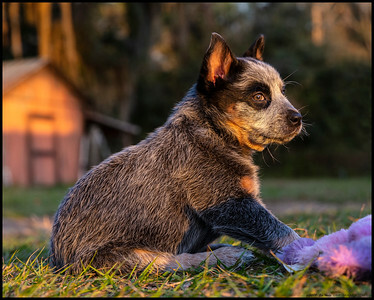 This nine week old Blue Heeler should make an interesting childhood companion. 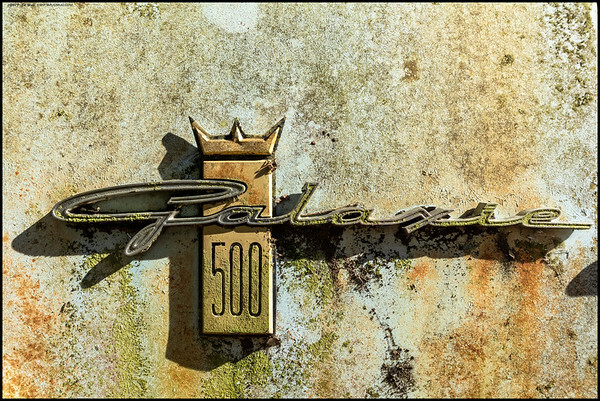 I continued to put off taking some shots of an old Ford Galaxie 500 until just before I headed out to catch a plane. Hopefully its still there next year. 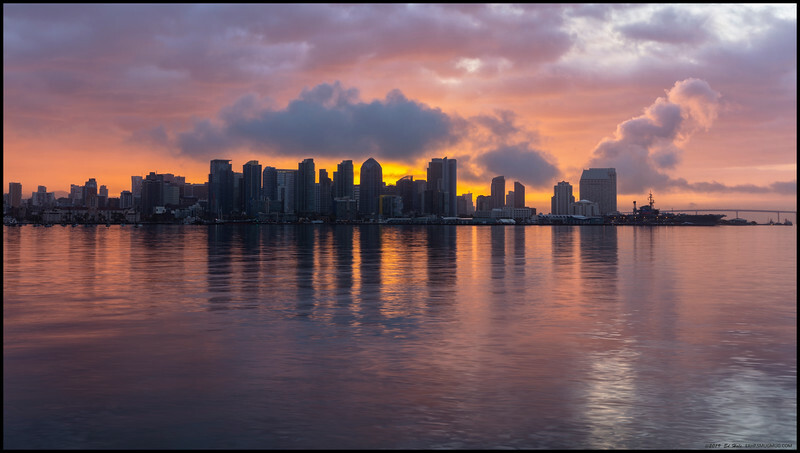 The clouds provided a nice diffusion filter to the sun rising behind the city. 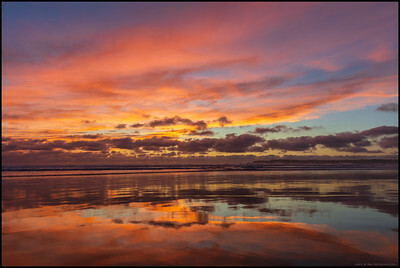 Even the line of low clouds along the coast could not stop the fire atop a glasslike beach. 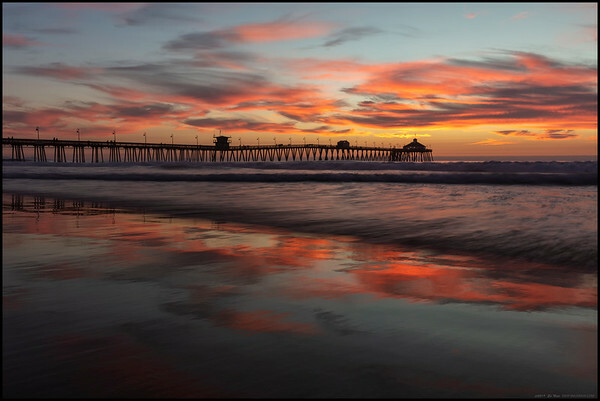 Taken on Gator Beach in Coronado, CA. 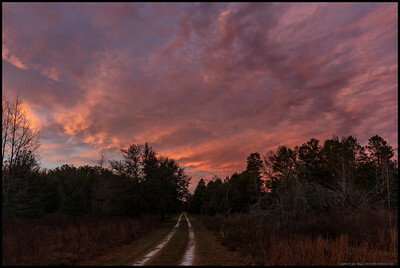 North Florida Winter sunset over a country lane. 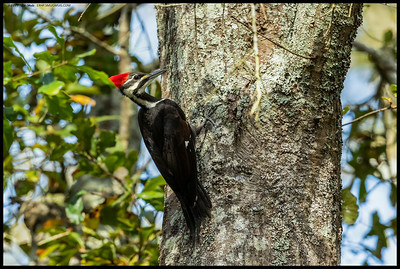 A female Pileated Woodpecker exploring for lunch options. 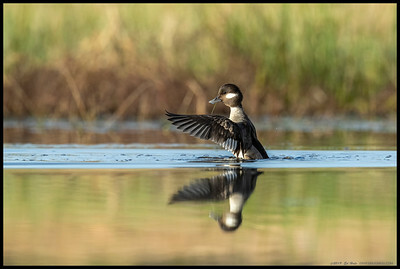 'Howdy' Originally I had been told there were Hooded Megansers in a small pond but it turned out to be female Buffleheads. 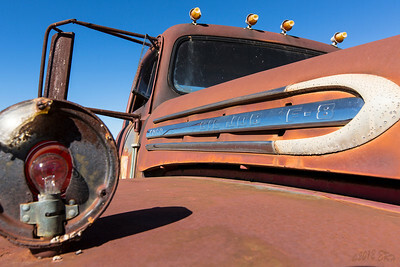 Still, its rare I pass up a chance to lay down in the mud and take some pictures.